Peak District mountain biking offers a wide variety of trails in a small area from very technically demanding to easy and accessible. While a good level of fitness is required there is mountain biking in the Peak District for all levels of ability from very experienced to complete beginner. 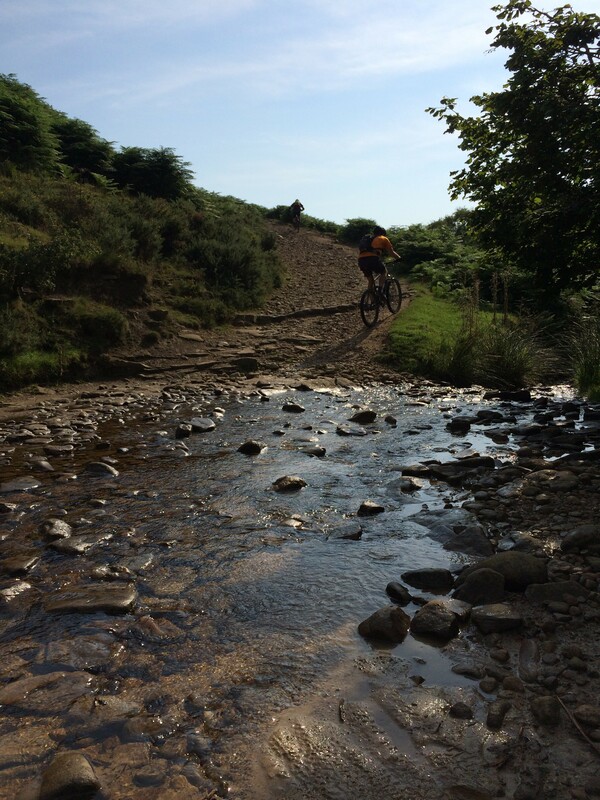 Peak District Mountain Bike Guiding will tailor your ride to suit your requirements so if you can give us an idea of what you want to get from your ride and your previous experience, we can decide which of the following types or combinations of trail will suit you and your group best. 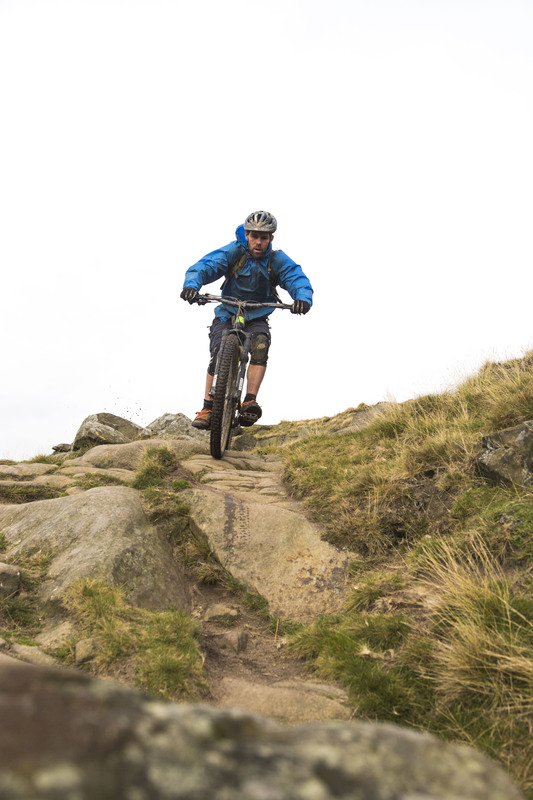 Easy and Accessible – Mountain biking is a great way to see the beautiful Peak District as you can cover more distance easier than on foot and access areas that would be impossible on a road bike. We can plan routes that take riders to amazing locations with stunning views by riding on even and broad tracks and forest trails that will be ride-able for bikers with basic skills. 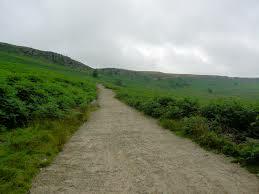 Examples of these trails include the recently re-surfaced Stanage Causeway and Brough Lane. Moderate and Fun – Similar to a trail centre blue route this type of bridleway offers the chance to experience genuine natural mountain bike trail without anything too difficult, and no overly steep or committing trail features. Surfaces will be rocky and loose in places but can be ridden with basic to moderate skills at controlled speeds, or in a much more exhilarating way with a bit more pace – the choice is yours! Examples of this category include the new Lady Cannings development, Jaggers Clough and the Roman Road from Hope Cross. 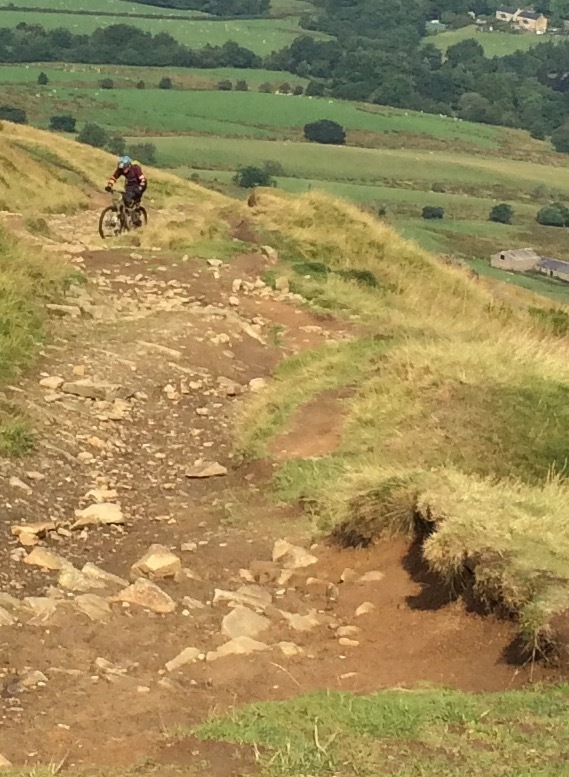 Difficult and Challenging – Peak District mountain biking is brimming with trails of this nature. These bridleways can be compared to trail centre reds and will test and challenge your skill levels throughout. Features will include berms and corners, loose rocks, small to average size drop-offs, tight singletrack, roots and off camber sections. These can be ridden with moderate mountain biking experience at slower speeds or by those with high skill levels at a faster pace. There are many examples of this type of trail including Whinstone Lee Tor, Blackley Hey (Potato Alley), Mam Nick to Greenlands and Pindale. Severe and Technical – These trails are the most challenging Peak District mountain biking has to offer and are some of the most testing in the UK. They will generally include large drop-offs, committing trail features, and more difficult and steep combinations of the testing berms, corners, loose rocks, tight and off-camber sections mentioned in the ‘difficult and challenging’ category above. Examples of these trails include Cave Dale, Jacob’s Ladder and Doctor’s Gate.